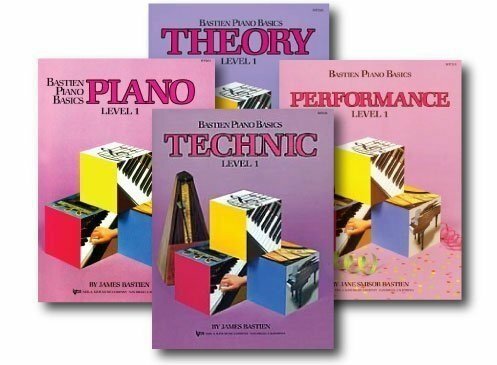 I use the Bastien instructional method in my piano lessons. I do not receive a commission from the publisher or a distributor when my students purchase these materials. Links to purchase on Amazon are provided below. Recommended for students who have no prior piano experience. Ages five and up. 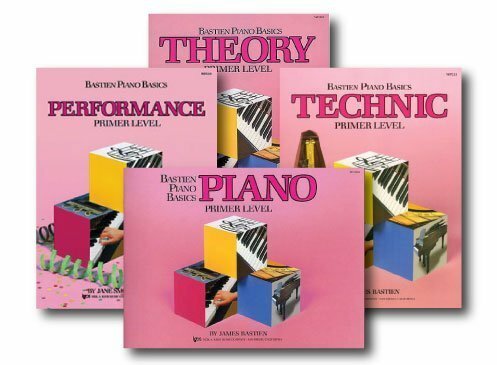 I do not use the theory book and opt to supplement music theory with other exercises. Recommended for students with some prior piano experience. I do not use the theory book and opt to supplement theory with other exercises. Recommended for adults with no prior piano experience. Also appropriate for high school students.